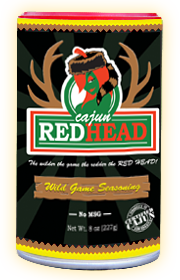 Cajun Red Head Wild Game Seasoning was created with culinary expertise to take the guess work out of what to add to your favorite game. Whether it's deer, duck, boar, lamb, elk, moose, exotic game or any other specialty food add alittle Cajun Red Head Wild Game and it will enhance any dish. If you are looking for a spice that will take the wild out of your game then this is for you. 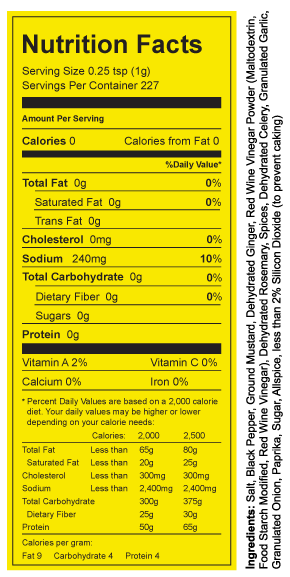 Our team has spent years testing this seasoning so you don't have to. We used spices that would blend together to give you a flavor unparallel to anything out in the market today. Your Feast Our Beast!